"This is box 1 folder 38 from 1947. 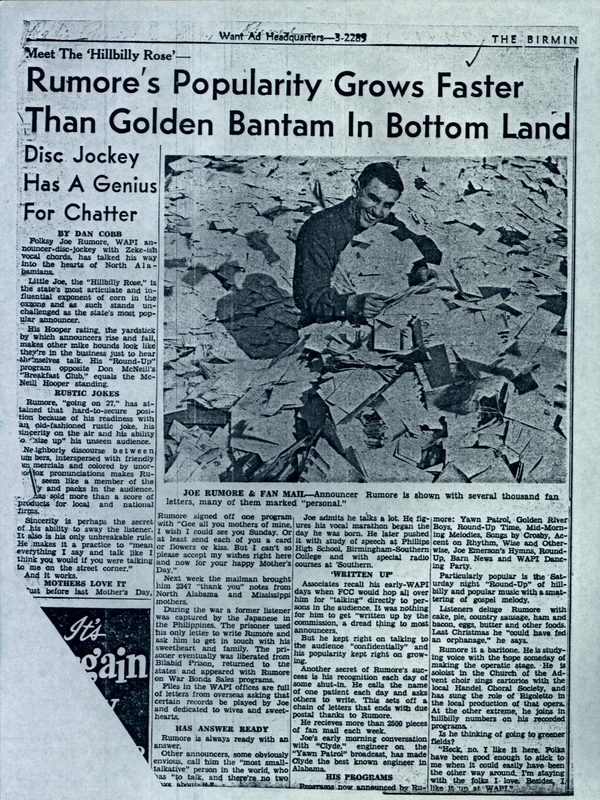 It looks like a Birmingham News clipping which has a picture of Joe Rumore sitting in a pile of letters and postcards, an extremely popular WAPI disc jockey who started his career at WJLD in 1942. 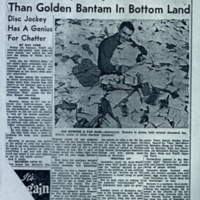 It’s a long article about his work at API, from that period; from 1947 is what we’re approximating. Joe was with WAPI from 1943 to 1948." 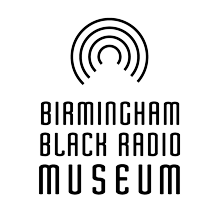 “Joe Rumore, Birmingham News,” The Birmingham Black Radio Museum, accessed April 21, 2019, http://thebbrm.org/item/149.